The team behind every Trekr adventure has a wealth of experience traveling the world. We each bring unique qualities to every experience, along with a shared sense of adventure and a common dedication to building adventures that will inspire an unending sense of adventure in others. Below, meet the team that works tirelessly to plan and execute each of our Treks. Patrick serves as Chief Marketing and Promotions Officer for Trekr Adventures. 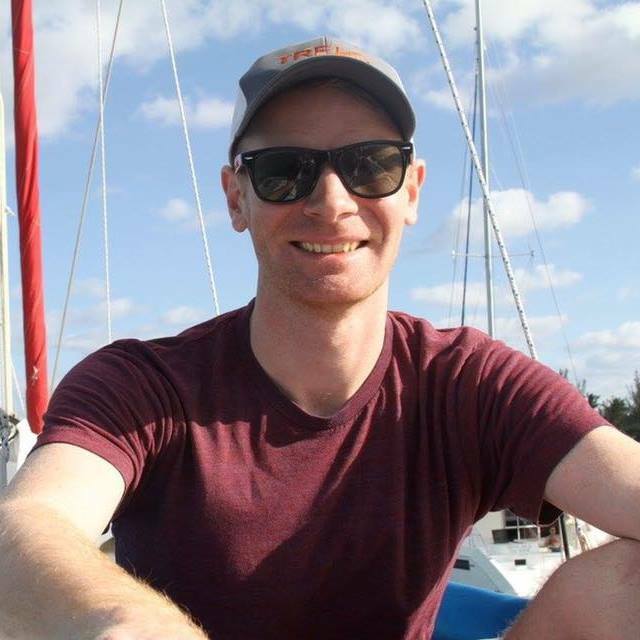 In addition to his marketing role, Patrick serves as a member of the sailing and Trekr operations team. Patrick has been sailing on boats since he was in high school where he started his sailing career crewing on a weekly race team. In addition to sailing, he is an avid skier, beach goer, and (of course) traveler. Patricks holds an American Sailing Association 104-level sailing certification. Charles recently quit a desk job in Washington, DC to join Trekr Adventures full time. He got his start teaching the sailing merit badge at a Boy Scout summer camp but more recently has been sailing with Pentagon Sailing Club in DC. Charles holds an American Sailing Association 104-level sailing certification. Mark Dann is one of the co-founders to Trekr Adventures. He is a veteran of numerous overseas assignments with the US Peace Corps and the National Democratic Institute. Mark brings a global perspective that combines unique travel experiences with the culture of the host countries where Trekr operates. Mark holds an American Sailing Association 104-level sailing certification. Lane grew up next to the ocean and always believed in her majesty. A recovering political hack, sailing has become not only therapy, but a passion that drives his daily life. There are fewer constants in life more reliable than the ocean and that the wind will always blow. Lane holds an American Sailing Association 104-level sailing certification. José has over 10 years of combined experience as an advocate, activist and public servant. He grew up in North Carolina but calls both Chicago and Washington, D.C. home. Jose, an avid traveler, has assisted Trekr on multiple expeditions including the British Virgin Islands, Thailand and Croatia. When not kayaking or snorkeling, José can be easily found exploring his culinary interests at a traditional restaurant or tasting local wines. Josh serves as Chief Executive Officer of Trekr Adventures. Prior to his role with Trekr, Josh was a Captain in the United States Air Force where he served as a finance officer. During his time in the Air Force he cofounded the LGBT military group OutServe which grew to thousands of members across the globe. Josh holds an American Sailing Association 104-level sailing certification. Sultan is a cofounder of Trekr Adventures. He has been participating in nautical sports for over a decade, winning 3 gold medals at the US Masters in rowing before reconnecting with his love of sailing. He serves as Executive Director of SMYAL, an organization that works to support and empower lesbian, gay, bisexual, transgender, and questioning youth in the Washington, DC metro area. Sultan holds an American Sailing Association 104-level sailing certification.